In just days, the deal was to be done. The historic Metz House, a Madisonville landmark, was to be off the market – sold into the protective custody of the Madisonville Community Urban Redevelopment Corporation (MCURC). Community members had watched countless grand, ornate, high-window and wood-floor beauties fall into deterioration, then sold and torn down to make way for modern replacements. “Historic Madisonville was slowly becoming not-historic. The Metz House is one of the most significant buildings in our area,” shared Strauss. The Metz House changed hands many times in recent years, serving as a coffee shop, funeral home, doctor’s office and then a mortgage company. When the last owner went under, the bank took possession of the House. Madisonville leaders moved to buy and safeguard the property, with the City of Cincinnati agreeing to grant the funding needed to purchase the House. But in the final days, missing forms complicated the sale. Then, the deal fell apart. The Metz House was again on the open market. City leaders said they would still cover the costs, but it could take 18 months to put the financing back in place. 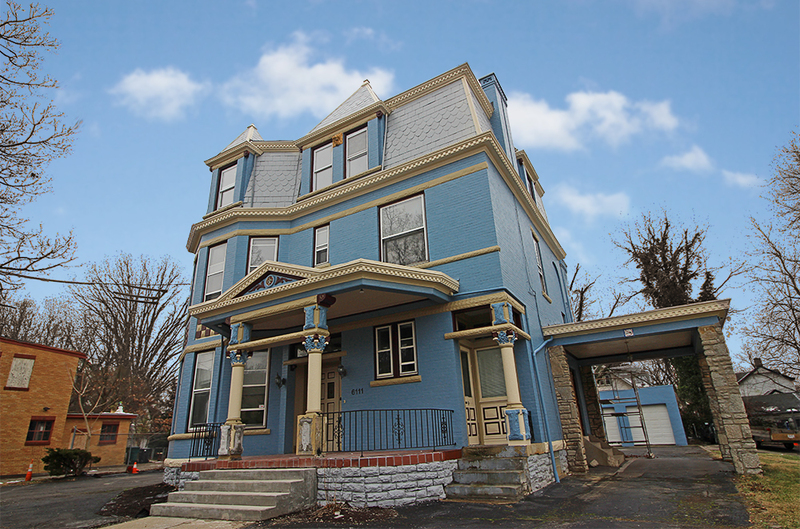 Meanwhile, the three-story landmark — complete with six distinctive wood and tiled fireplaces, a winding carved staircase, ornate exterior and a steep, Mansard roof – sat vulnerable. Would another buyer let it fall into further decay, perhaps tear it down, or renovate without appreciation for the original craftsmanship? Or would the bank raise the price of the property beyond the city’s reach? 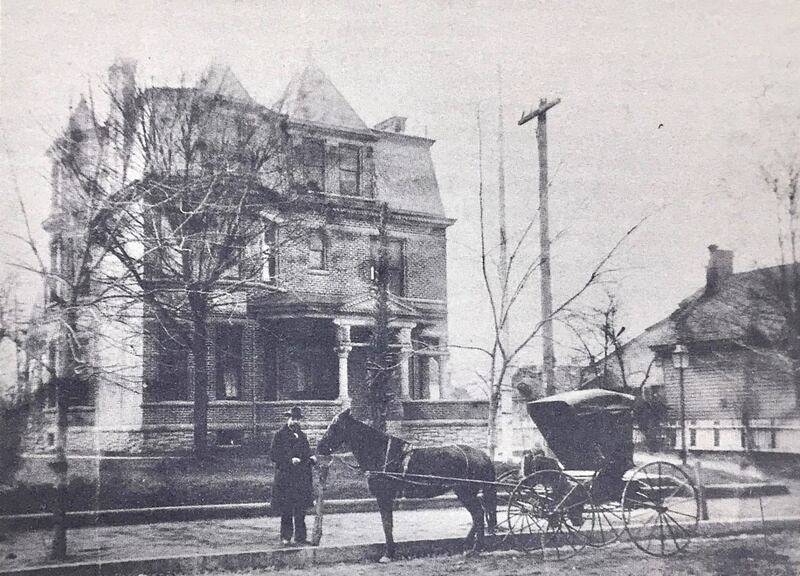 Built in the 1870s, the Metz House was home to one of Madisonville’s most widely recognized and revered residents: Dr. Charles Metz. Called “Mr. Madisonville,” he helped established the Madisonville Fire Department and the Madisonville Library and Scientific Society. He served as town councilman, the first Director of Health and was a member of the school board. He also was the community’s physician, delivering more than 5,000 babies and caring for residents through horse-and-buggy house calls. But, he was best known for his archaeological work that helped document the lives of the Ohio and Miami Valley American Indians. This was not a house the community wanted to lose. That’s when the Hamilton County Landbank stepped in, and paid $145,000 for the building, holding it for the community. Months later, when City funding became available, MCURC purchased the property from the Landbank. “We wouldn’t be here today if it was not for The Port,” Strauss said. Renovation and restoration of the 4,100-square-foot property began in May 2018 with a total development budget of $460,000. Grants from several banks and the Community Development Finance Fund were secured with additional fundraising underway. MCURC will move into its offices on the first floor in 2019. The top floors will be rented to neighborhood entrepreneurs.